This book is welcome. In 11 well-written chapters, it narrates the political history of the vast territory named by the author 'East Iran' as far as this is possible according to the number and quality of the sources available to us. The area covered by the geographical naming 'Eastern Iran' by far exceeds what we are used to calling this way. 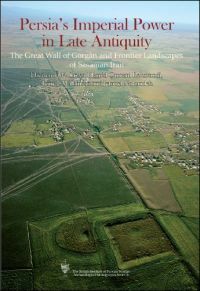 The need to adopt such a broad geographical meaning is well assessed in the Introduction (7-26), and is eventually deeply rooted in the starting sentence of the great imperial inscription at the Kaʿba-i Zardušt by Shapur I: "I, the Mazda-worshipping Lord Shapur, King of Kings of Iran and non-Iran [...] I am the master of the Domain of Iran (Ērānšahr)". So, the area covered by this book is divided among Iran, Turkmenistan, Uzbekistan, Tajikistan, Kirghizistan, Afghanistan, Pakistan, north-western India, and the westernmost parts of China. The mountain range of the Hindu Kush region splits it, and one of the best results of this book is to stress the fact that for an extended period such a clear natural boundary had been not-effective. The structure of the book is sound and straightforward. The single dynasties and powers which ruled this area are analysed as follows: 1. The Sasanians and Sistanis (27-45); 2. The Kushans and the Sasanians (46-71); 3. The Kushano-Sasanians in East Iran (72-86); 4. The Iranians Huns and the Kidarites (87-103); 5. The Alkhans in the Southern Hindu Kush (104-124); 6. The Hephthalite Empire and Its Successors (125-146); 7. Sogdiana in the Kidarite and Hephthalite Periods (147-156); 8. The Nēzak and Turk Periods (157-175); 9. Tokharistan and Sogdiana in the Late Sasanian Period (176-184). General Conclusions (185-193) and eventually an Epilogue dedicated to the Shahnameh (194-195) concludes the book before the Bibliography and Index (199-234; 235-242). From a chronological point of view, the book starts when the concept of East Iran began to be operative, at the end of the Parthian era, and at the beginning of the Sasanian rise to power. Then, it leads the reader along a slow, contradictory, and not well-known path to the strong concept of "Greater Khurasan, the prime geopolitical actor of the early Islamic period" (158). 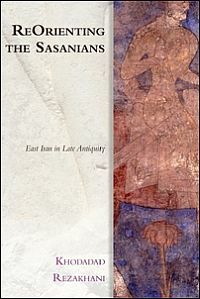 It was under the first eastern enemies of the Sasanians, the Kushans, that such geopolitical concept started to be operative in a greater or lesser level of autonomy from the "western" Sasanian court established at Ctesiphon. Inevitably, the Kushans impressed their mark deeply on the structure of East Iran. Contrasting the latter's power in the East, the Sasanian kings such as Shapur II expanded their influence beyond the traditional boundaries of Iran, generating the so-called Kushano-Sasanians, whose autonomy from the central government is much debated, but whose cultural specificity is well attested from coins. The sources for studying such history are pretty scanty and dispersed. Imagine being obliged to build a narrative of the Roman empire having at your disposal only some monumental historical inscriptions such as the Res Gestae of Augustus, a religious-epic poem such as the Fasti by Ovidius, and a good number of imperial coins. It is inconceivable, but this is the desperate situation in which Rezakhani operates. Significant findings in recent times have widely increased our knowledge about the history of the Kushans, such as the inscription of Rabatak (discovered in 1995). The latter allows us to assess with some certainty the names and succession of the early Kushan kings (57-68), and in the meantime also to get a key to the understanding of the enigmatic Chinese sources, the matching of which with other groups of sources is far from easy. The weight of the numismatic sources in this work is decisive: 37 out of 47 figures (all in grey-scale, always of good quality) are of coins. In general, the balance between literary and documentary sources is decisively pending towards the latter. This fact leads to hope that the documents at our disposal may increase in the future, in the way it happened in the previous decades. However, inevitably, this situation makes the hypothesis and the results exposed in this book provisional. Rezakhani is conscious of the uncertainties of many of his ideas and assumptions. Those difficulties are such that even the existence of an entire dynasty, and not only of a single king, is disputed by some scholars. Rezakhani is well aware that the Alkhans, to which he dedicates chapter 5, are quite often considered as a part of the great confederation of the Hephthalite Huns. Precisely for the high fluidity of many of the assumptions and of the choices made by the author - always well explained and convincing - some genealogical tables would be highly desirable and extremely useful. The connection with the West does not account among the centres of gravity of the book. The analysis of the well-known passages concerning the Chionites in Ammianus (89-93), the Kidarites in Priscus (93-99) and the Hephthalites in Procopius (127-137) is generally oversimplified, as far as the Western sources are concerned - e.g. the mention of the old work of Altheim concerning the Hephthalites in Iran (1969), cf. 136 n.27. At any rate, even in such cases, Rezakhani always supplies useful additions taken from the eastern sources (Sogdian, Chinese, Turkic, Arabic) which make the reading of this book very useful. Notwithstanding some failure as far as the literature about the Western sources is concerned, the core of the book is well documented and up-to-date. Maybe even too much, as works published before the 1990s are rare. In some cases, it is a pity: monographs such as Gnoli's The Idea of Iran (1989) would have been useful precisely for the starting point of the book as is exposed in the Introduction. Even though the bulk of the book is about the pre-Islamic period, the last chapter still goes on until the beginning of the Abbasid caliphate. Rezakhani accepts a long periodisation of Late Antiquity, explicitly recalling the work by Garth Fowden, The Byzantine Commonwealth, 1993 (190). Such periodisation was challenged by Andrea Giardina (Esplosione di tardoantico, 1999), but no doubt this different framework is meaningful as far as Central Asia is concerned. Maybe, one of the many qualities of this book is to raise a brainstorming about the concept of Late Antiquity and its feasibility in relation to the Iranian world. To sum up, this book is highly recommendable for historians, both ancient and medieval, numismatists and in general all the scholars engaged in world history and in the history of Eurasia and the Silk Road.